The cardboard box has written Korean and English instructions on the backside, suggesting to either mix the three colors of this contouring powder or use them separately to shade the facial features like nose, cheeks and hairline. The inside of the cardbox reveals the story behind this product labelled “by Rodin”. I especially like the idea of giving some information about the concept of the design of a certain product by hiding them inside the cardboard packaging. 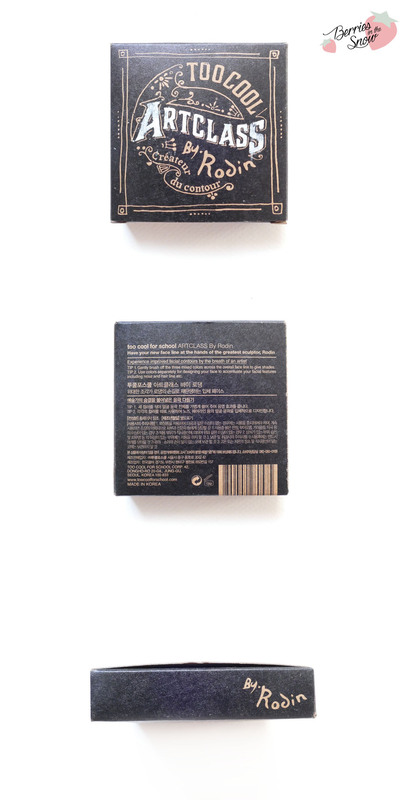 The compact has the same design like the cardboard packaging and looks super pretty on its own. The back of the compact displays the shelf-time of the product and the production date. I was looking for a contouring powder for quite some time, but I had the feeling that the shades were either too dark or only came in one shade alone. 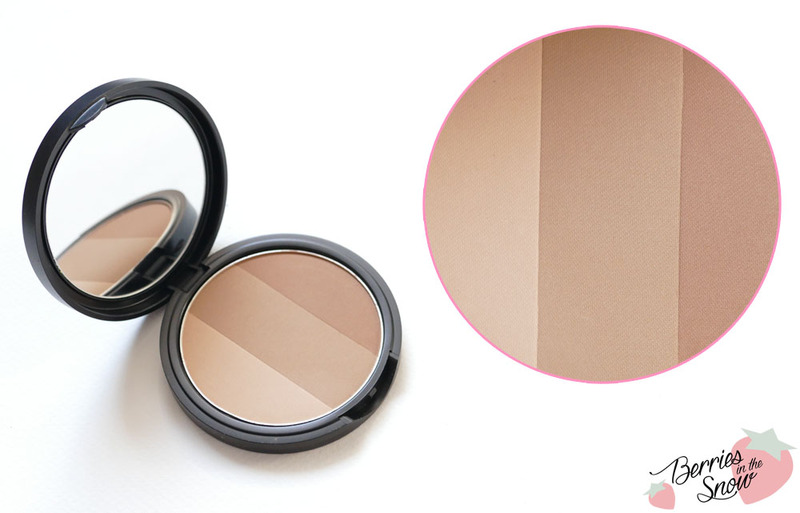 This contouring powder contains three different shades, reaching from a light one, to a darker shade. 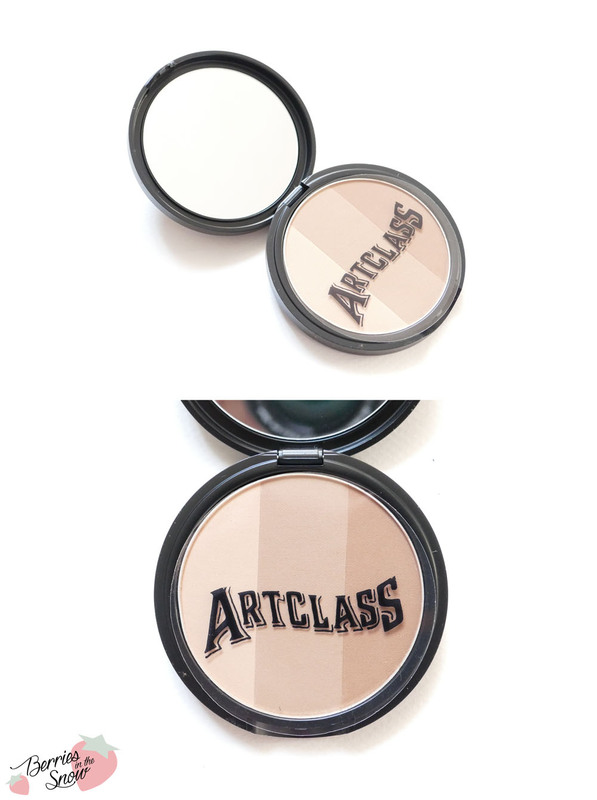 The compact comes with a mirror in the lid which is protected from the fall-off powder by a transparent plastic sheet labelled with the word “artclass”. The shades fit light to medium skintones and are not too yellow-y, neither too pink, which I like especially. 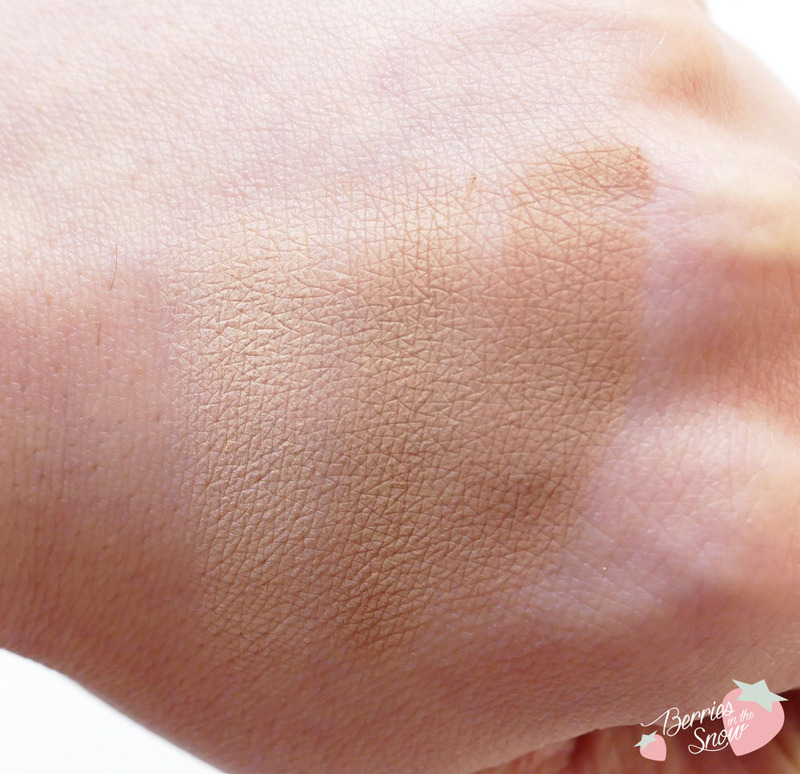 The powder is very light and transparent, especially once blended into the skin. I needed a couple of swatches to make the colors show properly on the back of my hand. In order to have a natural contouring effect it is important to have not too pigmented shades, because it makes it easier to blend in. Also, if you are a contouring newby like me, you can make less mistakes in that way. 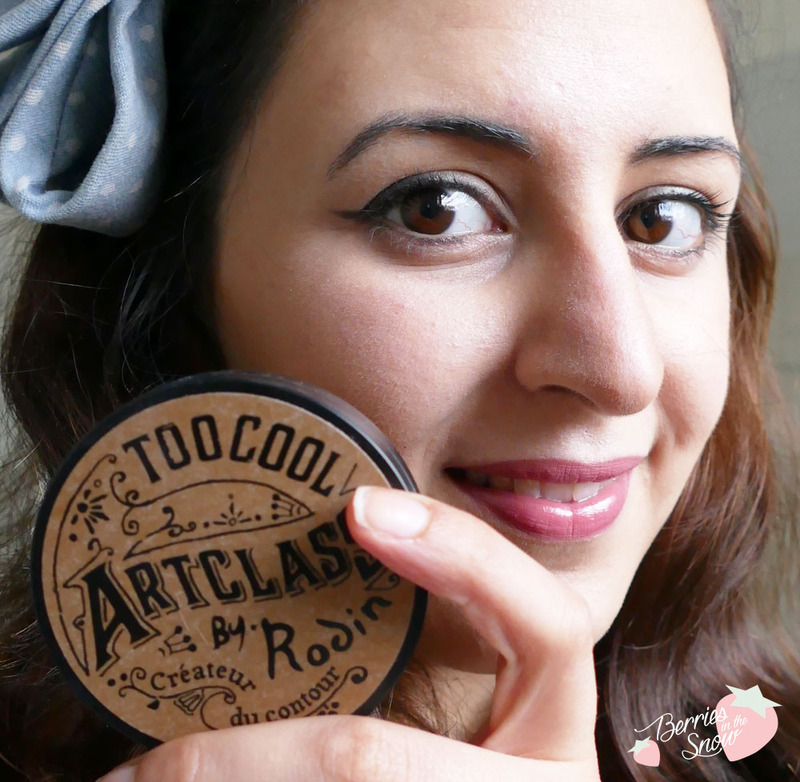 When I’m using the Too Cool For School Art Class By Rodin contouring powder I make use of all three shades. I use the darkest shades for accentuating the arch reaching from the beginning of the eyebrow to the bridge of my nose. I mix the darkest and the middle shade for contouring the nose and use the middle shade to blend it into the sides of my nose. I also mix the middle and the darkest shade for drawing a line at my cheekbones. For the hairline and trhe sides of my face and my jawline I mix all three shades and use them there. You can find some nice images on Too Cool For Schools official site were the areas you can use the powder are shown. 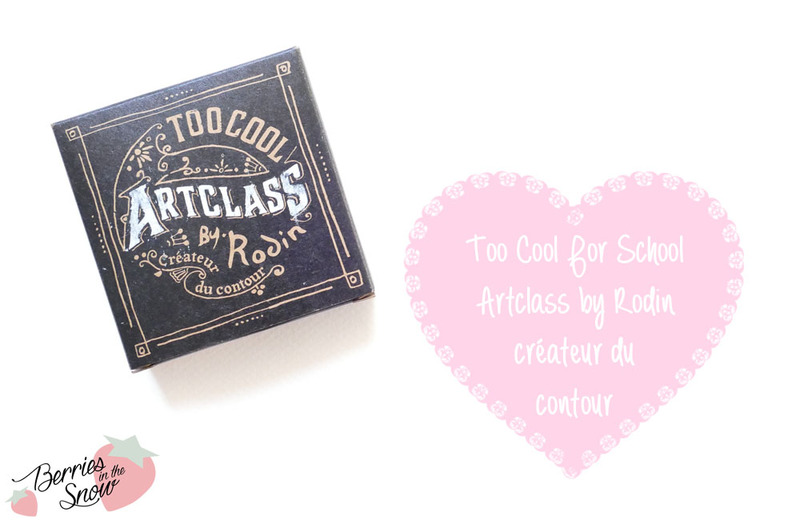 I’m totally happy with Too Cool For School Art Class By Rodin and my search for a contouring powder has finally ended! And I’m definitively recommending you this contouring powder, if you are looking for one and the shades in this palette suit your skintone. 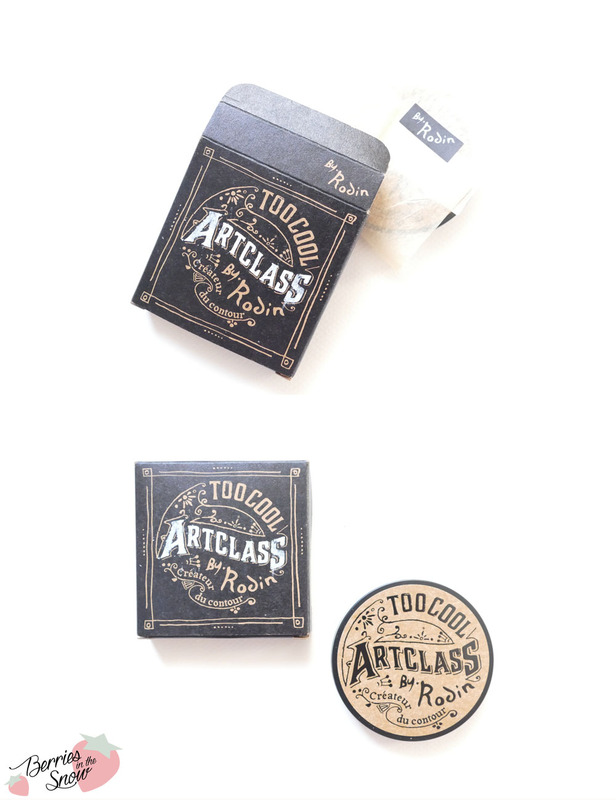 Too Cool For School Art Class By Rodin retails for 12800 Won at testerkorea, for 13.02 US$ at KoreaDepart, and for 21.01 US$ from W2Beauty. Just as a short reminder: All products mentioned and reviewed on this blog are of my personal opinions. This product here was sent to me for reviewing purpose by http://www.bntnews.co.uk/ which doesn’t influence me in providing my honest opinion on the products. 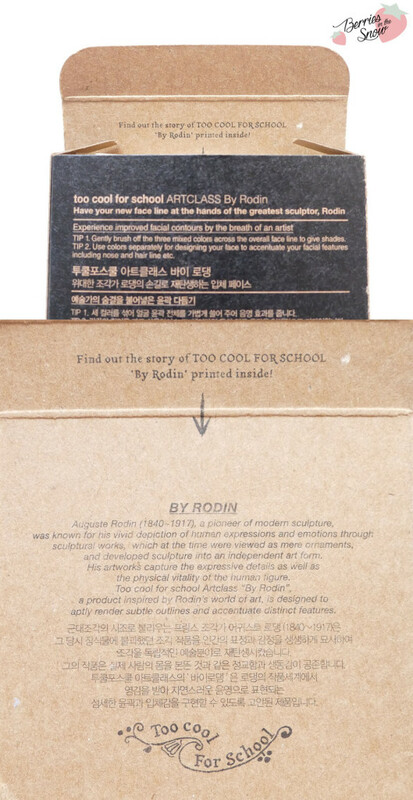 I love the packaging and that they included a mini history lesson about Rodin! 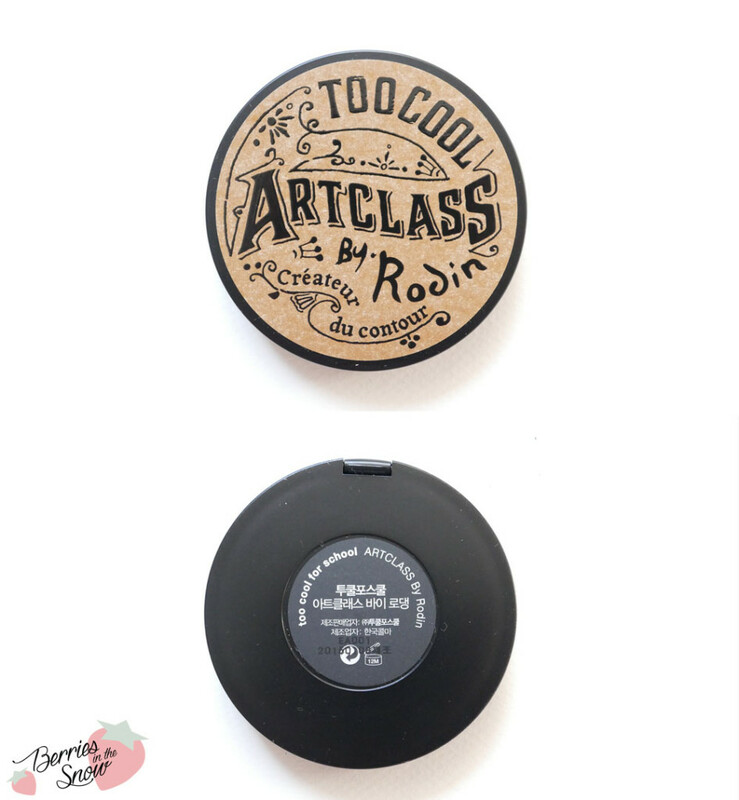 Too cool for school surprises me every time with the packaging and quality of the products. I also love that the bronzer is grey and cool toned, not orangey. Would be lovely to see how it works on your skin tone though! Oh this is a great product! If the darkest shade was just a tiny bit deeper I would love it more! But I can see the two darker shades being perfect for a cheek contour on lighter skin!